Let people know exactly when you are available for appoinments, when you are busy with other work, and when you are out of the clinic. 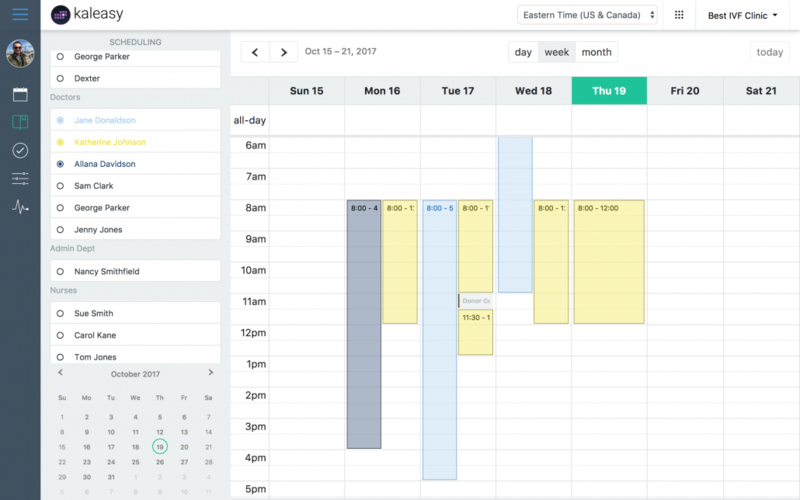 Manage your schedule across multiple clinics, even if they are in different time zones. It’s easy to use with a drag-and-drop interface. Got a standard schedule? Set up repeating events and forget about it. Ready to book some appointments? 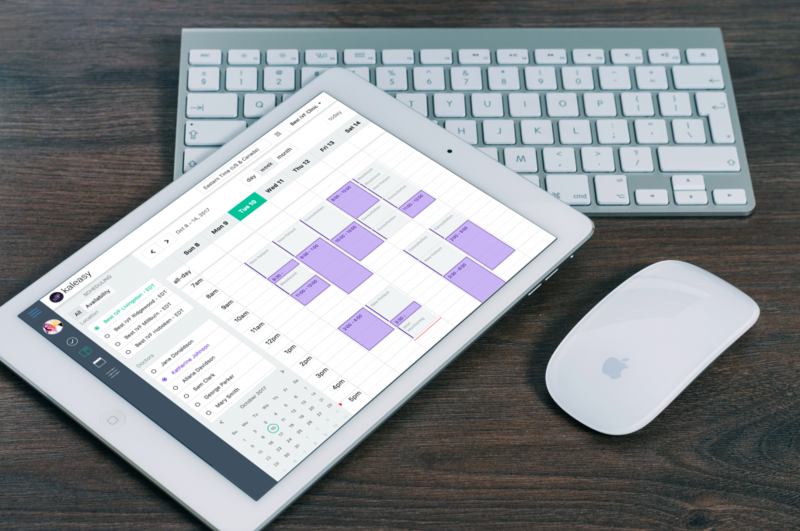 Easily see all of your staff’s schedule in one place. Filter by different locations and different staff members. 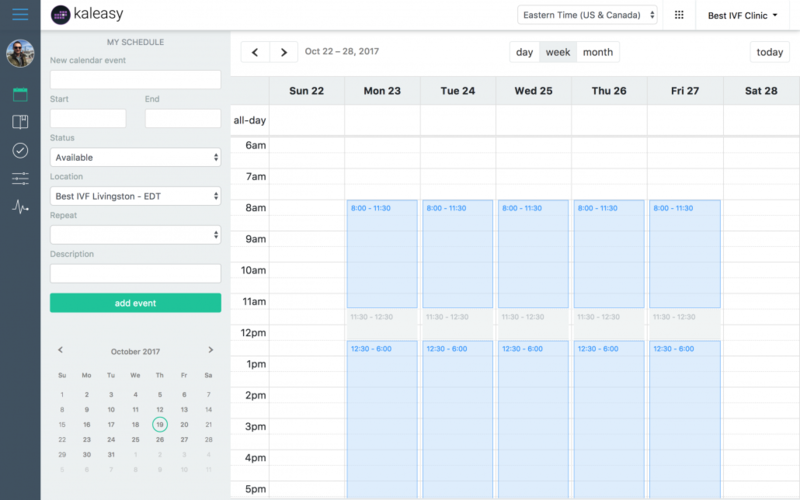 Our availability view makes it easy to find the best time for a new patient to stop by the clinic. Tired of not knowing who is sitting in the waiting room? Our check-in screen lets you know who is here and what the progress of their appointment is. It’s easy to keep an eye on how the day is progressing and whether you are ahead or behind. * Are there additional costs? There are no additional costs. Total usage data limits apply. If you think you might need a custom pricing for your lab or clinic, do not hesitate to contact us and we will be happy to help! Need support to set up the Kaleasy for your practice? We provide personal assistance with App set-up for up to two hours for a fee ($375). $100 per hour for each additional hour. You have a question while using the app? Chat directly with us through our in app live chat box and we will help you navigate your technical problem so you can get back to what matters faster. Free consulting restrictions may apply depending on complexity.